Should The FA be wary of backing Prince Ali in the FIFA presidential race? Earlier this week the Football Association threw a spanner in the works of Sepp Blatter’s bid to remain Fifa president as sources announced they would be backing one of his main rivals. It was reported on Wednesday that the FA are set to give Prince Ali bin Al-Hussein of Jordan one of the five nominations he needs to stand against Blatter in May’s presidential election. This is the same FA that has been among the leading voices criticising the present Fifa regime. Prince Ali, a Fifa vice-president himself, has long been critical of the current administration as well, making him a prime candidate to earn the backing of the FA. FIFA Report causes mass uproar. As I’m sure you’ve heard, FIFA released their long-awaited report investigating the legality of the bidding process for the 2018/2022 World Cups and, to say the least, it has caused quite a stir. The report cleared Qatar and Russia – although admitting there might have been attempts to bend the rules – of any wrongdoing and in a shocking turn of events, pointed the finger firmly at England, the USA and Australia with regards to their conduct in the voting process. It is fair to say that a number of high-profile figures involved in English football, whether in a journalistic capacity or within the game itself, are flabbergasted. Read on to find our analysis of the 42-page report! 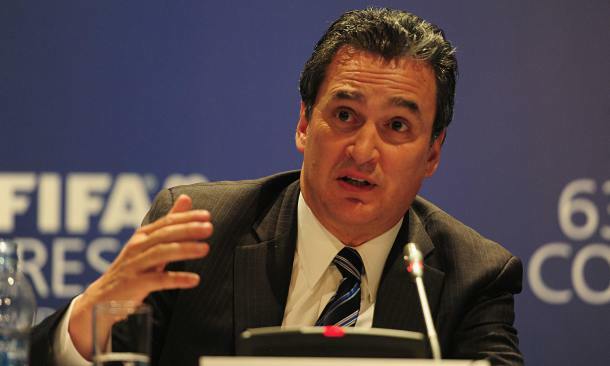 FIFA dismiss Michael Garcia’s report.